Fiordland Helicopters offer experience and expertise in a wide range of commercial operations. 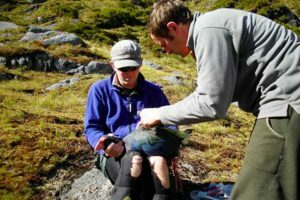 They provide essential support to the Department of Conservation’s Bird Research, Pest Eradication, and Track and Hut Maintenance Programmes, and work closely with organisations such as Mainly Fauna, the Mammalian Corrections Unit and the Fiordland Wapiti Foundation. Contact us to discuss the requirements for your project.